Her boyfriend beat her in every room of her house. To heal, she shares her story with others. Editor's Note: This story contains graphic information and images that may be disturbing. Reader discretion is advised. INDIANAPOLIS -- For a moment, Sara Slinker thought God himself had brought her and Todd together. Their first “meeting” was unusual enough. A friend of her son’s asked if Slinker would be willing to write letters to another man, Todd Brinson, he was serving time with behind bars. Since he was in prison on what she thought was a simple battery charge, she agreed. Recently out of a 20+ year marriage and with her adult sons starting lives of their own, Slinker had the time to provide some human comfort to a man paying his dues to society. Over time, Slinker opened up to Todd and shared her story with him. Their relationship blossomed from budding pen pals into something romantic. Ten months later, in September 2010, Todd was released from prison and moved in with Slinker. On Sept. 18, 2011, Todd’s family took everyone out for dinner to celebrate his one-year anniversary of release from prison. Three days later, Todd’s father called Slinker and said he was worried his son had been drinking. Slinker told Todd he had to leave her apartment immediately and go back to his place. That was the moment the honeymoon phase ended. “He refused and picked me up, threw me across the room, and for the next 45 minutes beat me in every room of the apartment,” Slinker said. 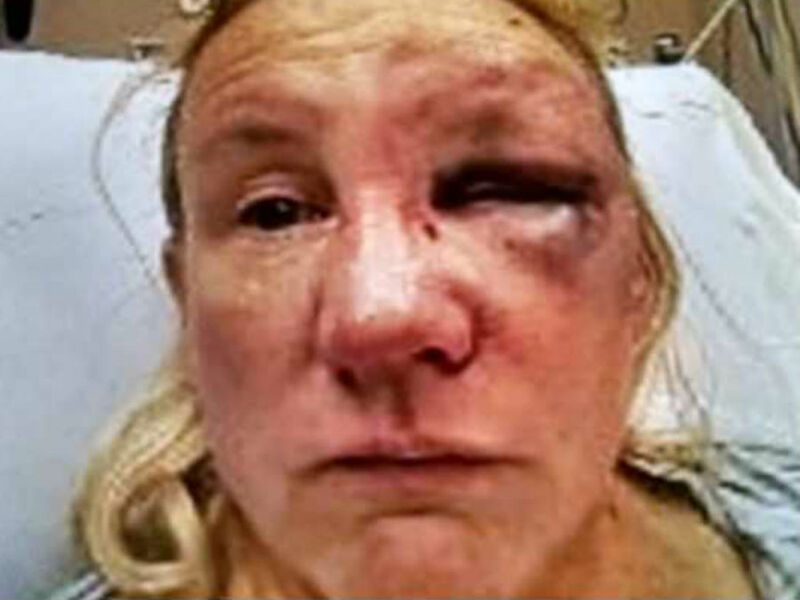 The beating only stopped when the police arrived after Slinker’s neighbor, hearing her cries for help, called 911. Todd was arrested and charged with battery, aggravated battery, criminal confinement and strangulation. He pleaded guilty to the strangulation charge and was sentenced to 2 years in the Indiana Department of Correction. He was released in September 2013 – only to return less than 60 days later after violating a no contact order when he called Slinker about getting his Beanie Baby collection back. By that point, Slinker had begun sharing her story in prisons – starting with the original facility Todd had been serving time in – with a program called Bridges to Life. When Todd got out again, Slinker agreed to drop the latest violation against him if he agreed to return all the letters she’d written him to be destroyed and to delete her contact information. He agreed. “I did not ever hear from Todd Brinson again,” Slinker said. But, she did keep telling her story. The Bridges to Life program began in Houston, Texas, and has since expanded to Washington state and Indiana. 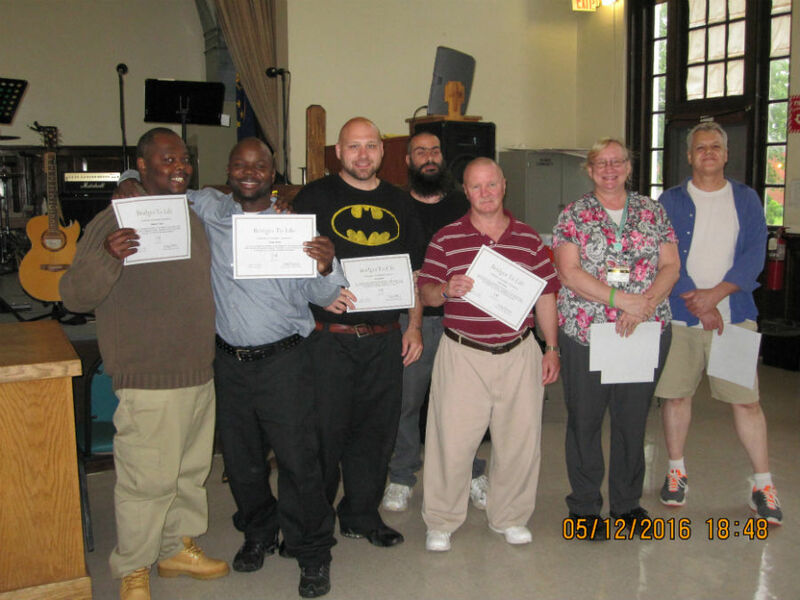 The program brings victims of crime – including, but not limited to domestic violence – into prisons to share their stories with offenders and other victims. The goal is to help offenders understand how their crimes have affected their victims and the underlying issues that led them to violence. For Slinker, the program also helped her heal from the trauma she’d experienced. Slinker isn’t the only one who shares her story during the class – the inmates also have to open up. Over the 14-week program, Slinker says she’s seen dramatic transformations. In some of the men she talks to, Slinker says she says the same issues Todd had. Another common theme, Slinker says? Anger. Anger like the kind that was eating up Heath Eppard when he first went through the program. “The last thing I told my oldest son before I left was a lie,” Eppard remembered. Eppard, 30 years old and once again facing forgery charges, was seeing his son off to school before a court date in February 2013. After court he was going back to prison. “For a while there was a lot of trust issues with my oldest and with my middle child, my daughter,” Eppard said. It wasn’t Eppard’s first stint behind bars. He’d been incarcerated before for theft and forgery. This time was different, though, because his children were old enough to understand what was happening. Eppard’s youngest son was just 5 weeks old when he left for prison the last time. All that was rumbling through his head when Eppard took his first Bridges to Life class in prison. He would eventually take the class several more times – even going back after his release to share his story with other men. For Eppard, Bridges to Life wasn’t about violence he’d committed to his loved ones – but it was about learning how they were, nevertheless, the victims of his crimes. By the time Eppard was released in November 2016 he was in a different place mentally. Within four days of getting out he had a job lined up. In the 14 months since, Eppard has worked to repair his relationships with his family and has stayed out of trouble with the law. For much of that success, Eppard credits Bridges to Life. Helping offenders understand the impact of their crimes isn’t the only reason Sara Slinker shares her story. She also hopes it will prevent other women from going through what she did. Last year in Indianapolis, 32 women were the victims of criminal homicides. Where motives are known, half have been linked to domestic violence. Nationally, about half of all female homicide victims are killed by an intimate partner. READ MORE | More women have been killed in Indy than in 2016. And the year before. And the year before. When Slinker hears those stories, she thinks about how it could have been her – and about all the signs she overlooked. Some of them she even interpreted as romantic. And there were other, less-subtle signs. After her assault, Slinker learned, to her horror, that she wasn’t Todd’s first victim. In fact, he’d been in prison when she first met him not for beating his ex-wife’s uncle, as he’d told her, but for beating his wife so violently she’d had to be transported by medical helicopter. For Slinker, it was God – who, she says, was giving her signs all along she didn’t see – that remained her constant. Her message for other women who find themselves in situations like she did is simple: get out.